Folks from the antique enthusiasm will always have a soft corner for straight razor shaving. I know the common use of safety razors had almost faded down the existence of straight razors. But the community who still craves for a passionate wet shaving still support their love for this unique style of razor. Once upon a time, it was a regular thing for fathers and grandpas to keep passing down the culture of straight shaving skills to the next generation. But with wireless technology and other means of electric gadgets now nobody needs to do so. 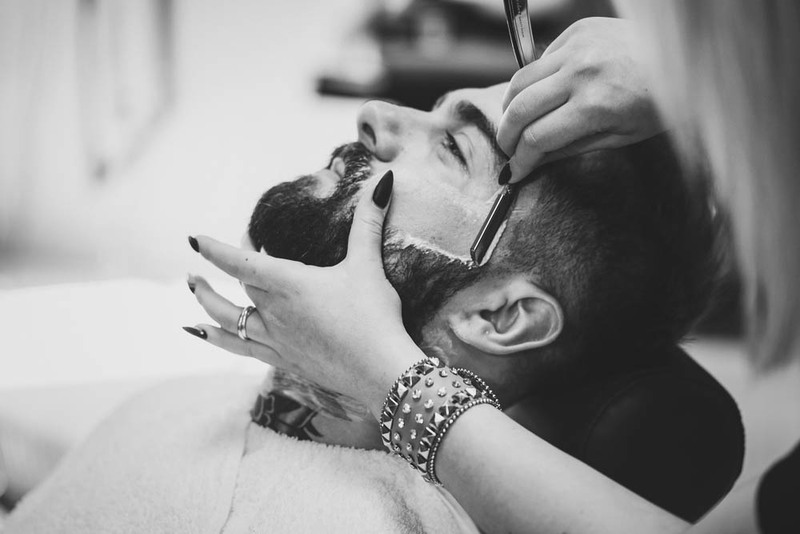 Late 2018 was full of vintage touches which gave rebirth to straight razors and right now it’s one popular trendy tool of shaving. So, for the fanatics of Sky Fall, I’ll talk in my article all about straight razors and how you can choose the most convenient one. I think I have a bunch of products right now in my mind that would strongly serve as the best straight razor for beginners. I’ll put them down and review one by one. There’s a lot of interesting breakdowns coming as well, so keep reading! I can include tons of products that will suit the category but most of them will be a bit weird for beginners. So I did my research and brought you some straight razors that are user-friendly plus worth for the money. Have a look at the comparison table for a convenient briefing about the products I’m going to talk about. I’ll put ten of my favorite razors that are all quite budget friendly. So that as a beginner you won’t have to struggle. Make sure you choose the ones that aren’t too complicating. If you are a novice, you should go for basics. However, if you find one product more likely to suit what you are looking for in particular, don’t be afraid to choose it. Your satisfaction is also a priority! 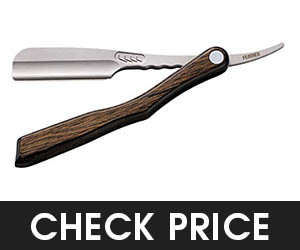 The Parker SRW is a phenomenon nominee for the best beginner straight razor category! With excellent quality to a smooth shave, there’s hardly any flaw you would notice for regular use. The handle is not an aluminum handle even if it looks like. The material is pure stainless steel and so the balance and weight will always maintain a perfect ratio to give you great shaving experience. There’s bent enclosure you’ll notice at the tip of the blade. 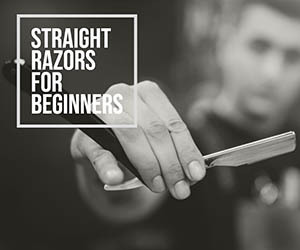 This will help to reduce the chances for any cuts which makes it a great tool to start without any knowledge about straight shaving. Whenever you insert a blade, the blade holder will allow you to make a secure lock. This way the blade would stay in place and you’ll be pointing in different angles without any fear of accidents. Excellent to do regular trims. Sharp blades to work with. Replacing blade is super easy. Safe to use with a convenient lock. Using with wet hands is tricky. One product that you can choose as an alternative is the Parker SR1 Razor. However, it comes with only five blades comparing to SRW that includes a hundred. The shape at the end of the blade, lock and blade size is similar. The differences are handle material, dimension, weight and price which varies slightly. Both are convenient and shave friendly for beginners. Here’s a brief comparison table to make you choose better. Weight 1.4 Oz. 1.7 Oz. The Equinox straight razor is a great set for having closer shaving experience with fewer cuts and irritation. It’s extremely suitable for sensitive skin as well. 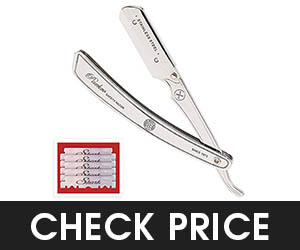 This can be the best straight edge razor for beginners that comes with an extraordinary price range. 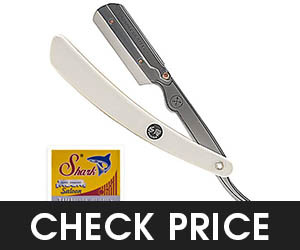 It’s a great deal for folks who are looking for the cheapest razor that suits regular usage. The whole set includes an additional hundred pieces of Derby blades as well. The ergonomic design is planned to keep the stability and balance in mind. Also, it provides the guarantee to never rust or tarnish. With one set you’ll be able to have more than two hundred shaves and also they offer a hundred percent satisfaction guarantee. I’m totally amazed by it and kind of biased. One razor that will suit both beginners and professionals. A value pack with 200+ shaves. Stable design with optimum comfort. It provides a tight and safe grip. Thirty days of risk-free guarantee is awesome. Very sharp and needs extra attention. The Feather SS is a resin made folding handle razor that comes with a superior gripping experience. 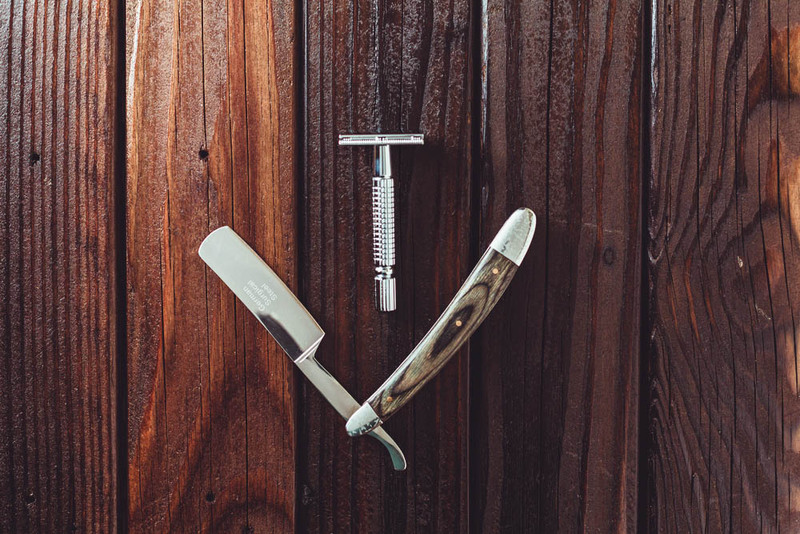 The blades are replaceable and provide great comfort for a close shave. The heat withstanding handle can fight up to 135 degree Celsius heat which is amazing. The price is comparatively moderate than other foldable razors. You don’t get any additional blade so need to get suitable ones separately. The blade exposure is bent and round. This helps to give a safe shaving experience, especially when you try to use different angles. It’s easy to maneuver and can cover a lot of surface with one stroke. You can effortlessly clean it by following a simple method for reassembling. Convenient to use with great grip. Maneuverability is awesome and effective. The fit and finish are superior. The price is somewhat high. The SRX is a great set of razor that is a barber friendly tool you can get for home usage. The razor has a professional design with strong and hard steel blade arm. The handles are also made from stainless steel. So the built quality is free from any quality compromising. The weight is very manageable with one hand. It has a round edge in the blades which helps to get a cut free experience while shaving. The blade holder gives better security also. It suits single edge blades pretty well. Even with a half double edge blade, the razor will do great. The feel of the razor is amazing. Changing the blades is a bit tricky. It’s one beautiful straight razor that I have absolutely fallen in love with. Not because it’s fancy but it’s simply classy. The resin handle with a great build quality has become one of my favorite in this affordable price range. The grip quality is excellent. It does not slip nor does it feel too hard. A balance will always be available to hold it with a proper angle and cut the right way. Also, it can withstand up to 135-degree heat which is amazing. The blades are replaceable with a simple detaching procedure. So no worries if sharpening becomes a problem later. The shaving head also has a rounded edge to bring smooth and soft shaving experience every time. The build in quality is solid. Every time you get comfortable shaving. The handle gives enough grip. Loading new blades is easy. 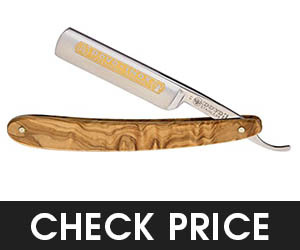 An affordable straight razor that looks beautiful. Sharpening will need a long time. One alternative for the folks who need a foldable version can opt for Feather Artist Club DX. It’s a great quality razor with a nice looking wood handle. The price is four times higher than the SS version though. The noticeable features you get with this version are the elegant handle, better resistance, and better quality. The DX feels user-friendly and also the weight feels easy. It gives a slightly closer shave than the SS. However the only con you should be worried about is the price. If that isn’t a glitch for you definitely go for it. Here’s a comparison table for these two that will help you make a better choice hopefully. The DOVO Inox is probably the best DOVO straight razor for beginner shavers who are looking for the pure classic feel of traditional shaving in a practical price range. With almost eighty steps of a precious handmade procedure, this is one of the most premium dovo straight razor you can get. It’s prestigious with a long edge blade to give you better control over hard hairs. It comes with an olive wood handle which looks and feels marvelous. With care, you can prevent rust and other issues as well. It’s one quality straight razor that lasts for decades. The blades are super sharp and perfect to get a thorough cut. The quality of the steel is a fascinating thing since I really didn’t expect it. The DOVO Inox is probably the best for beginner shavers who are looking for the pure classic feel of traditional shaving in a practical price range. 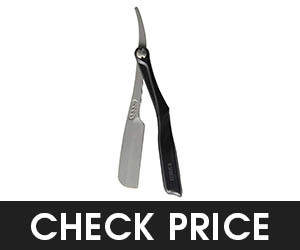 With almost eighty steps of a precious handmade procedure, this is one of the most premium DOVO straight razor you can get. The body design is convenient. A grippy handle made of olive wood. Hand made with great care. The FEATHER Artist Club SS is a prestigious quality razor that gives the feel of classic shaving. All the fanatics for wet shaving will love the experience it provides. The blades are replaceable and need very less hassle to do so. It comes with a round tip with stainless steel construction. This blade is amazing to give a smooth shave free from any cuts. Even after the shave, there is a very less chance of irritation because of the material. The handle is a Scotch wood and you can fold it the way you want. So having a closer shave from different angles is a piece of cake here. 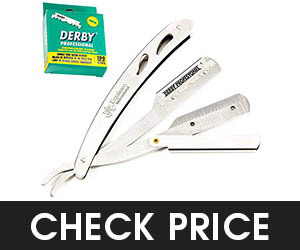 The Japanese style straight razor is a great purchase and deserving nominee to enroll in this list. Amazing looks with a vintage touch. Nice and strong handle to give better grip. No pain or cuts with effortless blades. A flawless choice for sensitive skin type. Cleaning is a bit bothering. With a quality tortoiseshell handle, the DOVO special razor is definitely special than the regular shaving tools. It comes with a manageable ten-gram weight that is super easy to maneuver. The razor includes carbon steel blades. This makes it the finest straight razor for sensitive skin with hollow grinds. The razor is thin so when you deal with hard hair you know exactly what amount of sharpness you need to work with. There are tangs for better usability and you can notice them both up and down. The blade material is excellent for sensitive skin type. The handle feels softs and grippy. The edge is a bit uneven. This is one straight razor coming from a very popular brand that will give you complete satisfaction of wet shaving. It’s a quality razor blade that will help you to get thorough shaving in no time. The razor material supports any skin type because it’s made with precision quality material. No matter how many time you use the quality stays in place. The mahogany handle is easy to grip and control. It does not feel slippery so there’s very less chance of any accidents ever taking place. A quality straight razor set. Includes brush and shaving soap. The blade provides enough sharpness. The Timor straight razor is a less popular razor in the list. But the quality is something that caught my attention. With dark plum handle, it’s probably to give you a supreme quality grip which is important to have a safe shaving experience. With four-inch carbon steel blades, you would be able to get closer shaves. Of course, there’s a need to have carefulness since of the size. It comes in a pretty looking velvet cardboard. 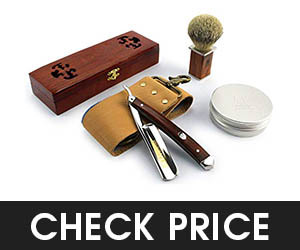 With a classic look, it does a moderate job to give you quality shave in less price. A beginner friendly razor to have. As soon as you look into the market there will be tons of products making you go crazy with new features and eye-catching designs! You would jump right into the product and click to buy as soon as you see a less price or unique features that sound so cool. Please stop there! In reality, most of them are just the same. There are only a few manufacturers who’ll care about quality and you need to know the factors to identify them. Your number one priority is to make the cut by thinking seriously about what you need and only then you’ll be able to make a worthy investment. These are just a few pointers you need to consider but mind it, all of them are very important to make a choice. Seems obvious to most but I can bet some of the beginners will ignore this very basic point nevertheless. A shave will be a disaster when the blade you choose comes out to be poor in quality. No matter what kind you pick it’s a must-check pointer for anyone. Remember the steel you are looking to buy with the razor blade will have contact with your precious face. Also, know the fact that a great quality steel would sharpen quite easily than the ones that lack in quality. Edges that are present in poor quality blades get dull and rusted in no time. Make sure you stay away from these. Most fixed blade razor would come in two essential shapes. One would have a square shape and the other one is probably rounded. Both types have some genuine variations between themselves. It actually links to the matter of safety. With a square tip blade, the chances to cut yourself is slightly more than the rounded ones. So if you totally have no idea about saving with straight razors go for the rounded ones to be extra safe. There are basically three options you have when considering handle built-in quality. First one is the wood or resin finish. This type is extremely beautiful and the most traditional type probably. Next, are the Celluloid models. These are more likely to last longer than any other handles. Finally, there are polymer ones that are somewhat a plastic type handle. Prices will vary with each type and it completely depends on your preference. Once you decide the material make sure it fulfills one more important function. The handle must have perfect balance with the blade. A good straight razor will always have a center of balance when you open it. Also makes sure the material you choose provides enough flexibility. Otherwise, you won’t be able to have the tension needed for a proper shave. A blade that provides a great amount of time for honing is a great choice. These will need a minimum amount of laps. By the term lap, I mean the strokes that a blade needs between blade and strop. Go for the one that comes with a decent strop capability. This will save you time and effort. For beginners, a blade that is within 6/8” range will do the most to eliminate any chances of cuts. This is the perfect range to get maximum maneuverability and closer shave along with safety. Maybe when you get better with shaving and has less fear of cuts, you can buy one 4/8” razor to get even better control or near shave. 6. Where Is It Made? This is an optional thing to do. But sometimes it works better by knowing the origin of the country you are buying from. If a straight razor is made in Japan, USA or Germany the chances that it's a quality tool upsurges to a high level. Obviously, there can be some exceptions to this rule. But most of the time it’s how it is. No straight razor will destroy your financial capability. They are affordable and even the priciest ones are not overly expensive. It depends on how much you are tending to spend. But a wiser decision will be devoting a few extra bucks. It is okay from my point of view since the tool will stay for an extended period of time. Which Brand is The Best for Straight Razors? If I have to consider popularity then its Parker and A.P. Donovan. They are a well deserving manufacturer that cares about quality and budget. But if you are more likely to be a fan of convenience then try DOVO, Feather, Equinox Int. as well. These are some most celebrated brands right now that supplies straight razors for beginners in reasonable price line. How Do I Use A Straight Razor? You need to use your common sense whenever dealing with straight edges. It’s kind of similar to shaving with safety razors. To begin makes sure you have a sharp blade to work with. For folks who are using a classic secured blade, you should point it to a short strop session prior to using it. The best time to shave is right after taking a hot shower. Splashing some hot water on the face will also do the job. This would soften your hairs. Get your favorite shaving cream or gel, whatever you have and gently coat the hair with it. No need to apply hard pressure. The most convenient way is to hold the blade in a thirty-degree angle. You should always shave in the direction of hair growth. Otherwise, this would result in blemishes and ingrown hairs. What’s The Limit of Usages with One Straight Razor? 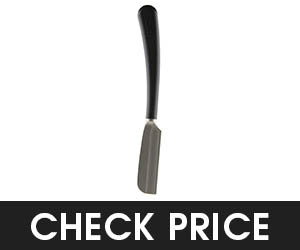 One of the most loveable and big benefit of a straight razor is the fact that it comes with no expiration date. There are absolutely no parts that will wear out from regular or constant use. If you are good at maintaining then even your grandson would be able to use it after decades. What Is The Right Method To Sharpen My Straight Razor? If you are using a fixed blade straight razor then simply point it to the strop before every use. For folks who use a straight edge razor with detachable blades can simply change the blades whenever they feel dull. Easy Peasy Lemon Squeezy! Lots of readers are here just out of curiosity and can’t yet figure out if a straight razor would do any good rather than the safety blades they use right now. If that’s your case here are four motivations that bought me into the world of straight razor shaving. Once you get the straight razors you’ll slowly realize that this tool is the most superior shaving alternative to regular blades. There are safety razor lawyers waiting to start an argument here I’m sure. But nobody would be able to deny that a safety razor is not able to give you the complete control to work with every skin type. That’s only possible with a traditional straight razor. Once you get a properly prepared blade you cannot imagine the great shaving experience you would be receiving. Everybody knows that a straight razor is huge. The large size will ensure there is less amount of vibration going on the skin. This way you won’t feel irritation on the skin which is the case with most shaving tools. There are so many stories where men talk about the problems they face while shaving because of their sensitive skins. Most of them will turn to a straight razor since with these bumps are less likely to show up. Facts: Two billion blades are thrown away each year with the ratio flying for double speed. I’m talking about cartridge, disposable and double edge razor blades. Safety razors also generate a huge amount of waste with their used blades. On the other hand, with a straight razor, you produce zero amount of waste. Think about it! A razor that lasts long, no need for replacements and needs low maintenance and after a while will also server your kids. What’s the chance of any wastage ever happening? Null! 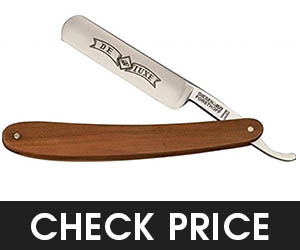 Now you’ll ask, how is a straight razor budget friendly? Yes, the price is more than safety razors. No doubts here! But why don’t you think about the long run? It’s going to stand with you for a long time! Thinking that way it’s way cheaper than other forms of a razor, right? Even when I count the maintenance cost (Which you would hardly ever need) then the sum is somewhere between two to three hundred dollars. For a lifetime, does that amount sounds too much? Decide yourself! Don’t make shaving a chore for yourself. Once you get a straight razor it would become a genuine pleasure to shave every time. You’ll be always looking forward to the event. There are so many straight shaving fanatics who’ll save some spare time in the evening to get a quality shave. It’s so much better than rushing in the morning for a quick shave. To be honest, it’s one of my favorite excuse to get some time and pamper myself. I like to enjoy it as a ceremony and meditating experience. The euphoric moments that I feel is something I really appreciate to survive in a hassle full world. Men who favor straight razor would always brag about one big benefit they get. The fact that one straight razor would last a lifetime. Can you imagine how much money that saves? A Lot! Apart from that, a straight razor is also well known for its strong build quality. Hardly any metal part would wear out or need maintenance. Even the process of sharpening is super easy and within reach. One straight razor blade is typically three inches long. This is way longer than the so-called commercial safety blades. Also because of the large size, you would be able to easily cover more surface on your face with a single stroke. This results in a better shave plus reduced irritation possibilities. Now let’s focus on some bad sides. When you begin with a straight razor, you’ll need longer time to shave compared to safety blades. Why? Because there will be a good chance of cutting yourself the other way when you want to settle down too quickly. So those who don’t think they can work with patience should go for safety razors. The best thing about safety razors is just what the name denotes to, it’s super safe. It will help you to have a quicker shape with much closeness to the face. There’s hardly any risk of cutting yourself. The biggest and most irritating con is the fact that you will have to buy blades often and quite regularly. For a few men, this will be a big turn off. Straight razors! Simply because they will give you a shave that is more profound, better shaped and also a feeling after shave that safety razors are never intended to provide. If you are here to be passionate about shaving then, of course, you are willing to learn right shaving methods. Once you know the right techniques of putting pressure and holding in angles, I don’t see a chance of bleeding or cutting coming your way. There’s no denying that it isn’t as easy as safety blades. But as men, we tend to go for tough roads for better outcomes. The ending result is all that matters! It’s important to understand pretty well about the parts of a straight razor prior to comparing or analyzing. It might seem simple to you at first with a straight blade and handle. But there is more to it. It’s important knowing the terms well to get a better idea from the reviews you read. Here’s the name of some common individual components with a briefing about each. 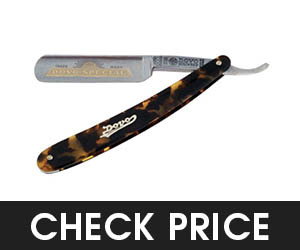 Scales - It’s the traditional word to define the razor’s handle. Edge: The part that does cutting tasks. Spine – Blade’s top edge. Pivot Pin – A pin that grips scale together with the blade. Shank – The bar that supports between pivot pin and blade. Heel – The point where shank and blade meet to safeguard the thumb. Shoulder – Shank, and spine have this bent space. Stabilizer – The area between heel and shoulder that seems thick. Tang- The mounting metal end that helps to stabilize finger with the blade. Toe – Endpoint of a blade. Point – The flat end of a blade featuring various designs. Face – The space that can include add-ons for the blade. Straight razors will vary on thickness. The most general type of straight razors will have slightly concaved face. However, there are some that include a perfectly flat face. This is denoted as the grind. The steel is converted into blank which needs a continuous process of hardening and tempering. Most will only have basic features of a straight razor and so needs finishing touch to get complete. Here are two common grinds discussed in detail. The most popular type is the hollow grinds. It’s the most common method but this still differs in degrees. Hollow is usually much lighter by eliminating metal from blade’s face. Since this type of blade is thinner, they serve excellently to be more forgiving for sensitive skin types. They are relatively better in flexibility also. With the thinness, it’s easier to get a response quickly when dealing with hard hairs. It will tell you exactly how much sharp your blade is. But also this extra hollow will bring into fragility issues and sometimes the over-hone will encounter to breakage. There are many hollow grinds that will feature so many other things. For example a ridge or a belly. These are great to get a better grip of any resistance ever coming your way while shaving. When faces are extra flat they are known as wedges. These are basically the old fashioned grind of a blade. It is much harder to practice or use this type of grind. There is less tactile feedback you get when using this. Maybe because they are quite heavy than usual. You will hardly find this grind in new models. Many shave enthusiasts gather this grind blades as a collector. A few even believe that these grinds give better results when dealing with thick hair. It’s true because wedges are more long-lasting than hollows. But with the toughness, usability becomes sort of hard. Especially for regular usages with hard to hone capabilities. That’s all folks! 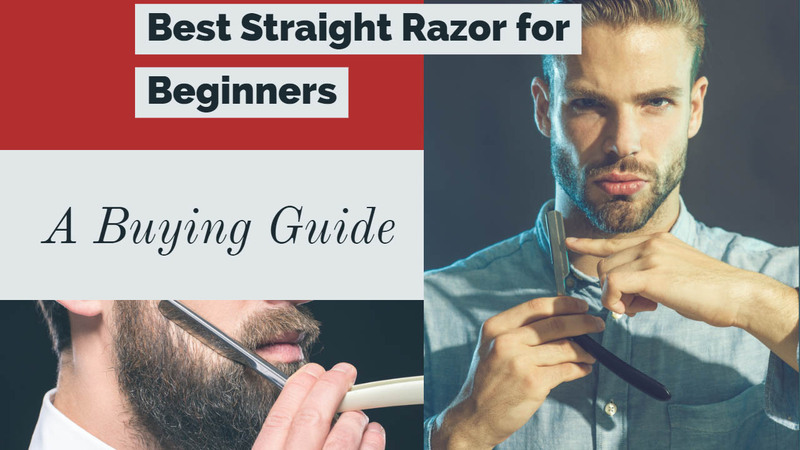 I’m pretty sure now as a beginner you’ll be able to get started with straight razors. I wish I could talk more about things like hot towels, treating nicks and shaving techniques. But because you are just beginning buying the right tool should be your first concern. Once you get it there will be many opportunities for us to discuss the other intermediate levels hopefully. I want to recommend you each product because all of them has something to offer. But that’s creepy I know! If I had to choose the best straight razor for beginners it’s going to be the Equinox Professional Straight Edge Razor. Simply because this is the most basic razor that sounds convenient, flexible, kind of safe and affordable to me. But that does not mean you’re bounded to get only this one razor. You should pick a razor that will serve your needs the best. It’s kind of the most common technique to follow to get a perfect tool for almost anything. If a razor has some cool features that you are mostly hunting for, then there’s no need to be confused. You are right where you should be! Nothing will be a better guide then your own instinct. All you need is a little knowledge about the tool and the passion to use it. You will feel amazed by the difference in how your face would feel once you begin with straight razors. Don’t miss out the great attitude as a man you deserve to have. It’s about comfort, convenience and a bold look after a great shave! Good Luck!